These coolers that chill some of your favourite beverages have just taken their first steps towards becoming smarter. The silent change that the coolers are going through is certainly not visible and not many may have noticed. The cooler looks the same, the size has not changed, it is being positioned with the retailers just like earlier and you, the consumer, are still getting your favourite chilled beverages. A multi-functional team has been working hard to set up the systems that will see these ‘connected coolers’ generate data in a manner that can be used to run the business with better insights. Over the last six months, nearly 800 of these cooler have been installed as part of a pilot project carried out at different locations. The project served as a silent behaviour observation opportunity and helped keep an eye on the accurate geolocation of the coolers. While still in early stages, once there is more data available from these devices, they can give business understanding like not imagined earlier. These coolers have been installed at various locations, including modern retail, ‘mom and pop’ stores, eating and drinking outlets, among others. “The aggregation of data can help get new insights into additional business programmes that we could launch, as well finding other uses of these connected coolers,” Vrijesh Nagathan, Chief Information Officer, Coca-Cola India and South West Asia, said. During the current year, as the programme expands, nearly 5,000 connected coolers will find their way into retail locations across the country. As the IoT-enabled cooler gets more ubiquitous, it could open opportunities for focused positioning, hyperlocal business activities and better understanding on what beverages are being preferred by consumers in different parts of the cities. “Imagine walking past a cooler and getting an offer on the smartphone to taste a new product that has been launched or a special offer during a festival,” Vrijesh adds. The possibilities are numerous. While such offers could be a part of a larger strategy, the coolers will also help Coca-Cola monitor more basic information like temperature, stock availability, location, placement of products and others. But, for now, the scale for the connected coolers is still small if we compare it to the fact that Coca-Cola products are sold at over 2.5 million outlets, and growing, through the country. The new IoT-enabled coolers will also help track one important metric that all beverage companies closely track – visible inventory. These metrics help companies understand how visible their products are to the consumers as they go to choose any of the beverages from the cooler. The higher the score, the better the chances that a consumer will choose one of the beverages of the company. For such connected coolers, a possible camera installed to keep an eye on the inventory, could help in keep a close watch on the critical metric. Coca-Cola and Vodafone Idea, India’s biggest wireless telecom service provider, had announced a partnership last year to introduce connected coolers across the country. 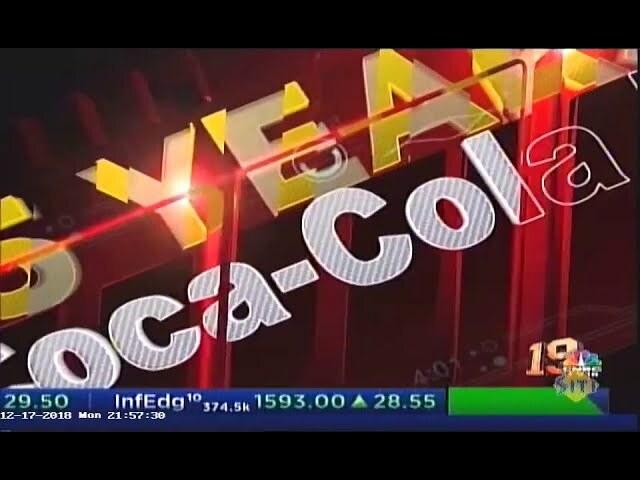 Coca-Cola has planned to deploy the IoT-enabled coolers in a phased manner across the country to enhance consumer experience. “The connected cooler is the next milestone in our journey towards digitising the marketplace and establishing a connected environment with our consumers,” Sanjay Rawal, the former Chief Information Officer for Coca-Cola India and South West Asia had said earlier.